Our romance with coffee has come a long way since the mid-17th century when a cup cost one penny. And despite the fact us Brits still consume more tea than any other beverage, we are becoming a nation of coffee aficionados. More of us are starting to fully appreciate the distinct flavours and creamy froth of fresh espresso. 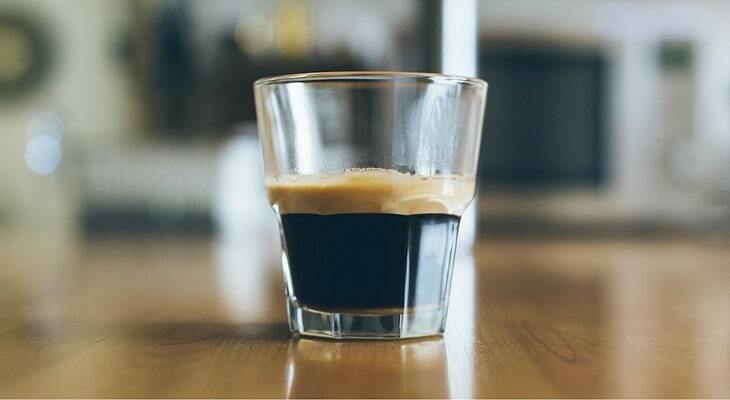 Making a great brew means having the best espresso machine. 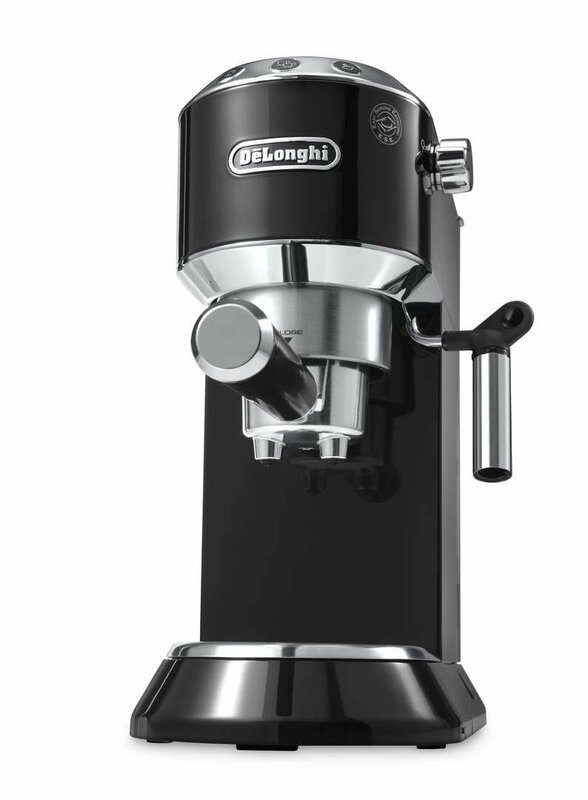 De’Longhi is a leader in coffee making, and the ESAM4200 model is a cut above the rest which I consider to be one of the best espresso machines of the current generation. For those of us who want to impress our friends with our own original recipe without resorting to discs and pods, you will never throw a spanner in the works with the Magnifica with its pre-configured programs that can make any cack-handed person brew coffee with incredible precision. While you need to purchase a separate grinder for most espresso machines, the Magnifica has one integrated into the unit itself. It, therefore, preserves the flavours of pre- ground or fresh coffee beans, which make every cup extracted by its 15 bar pump so tasty. The cleaning and maintenance of this machine is easy-peasy as a blast of steam before and after use. 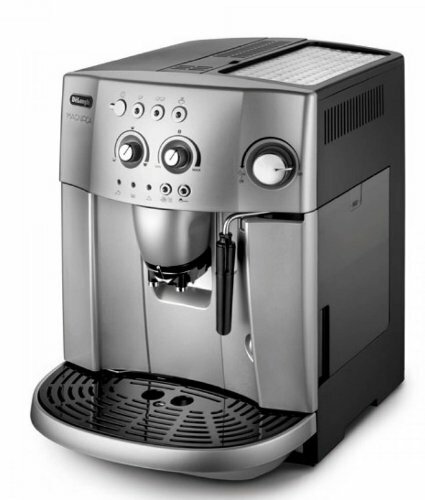 This coffee machine designed in Italy (the home of Italian espresso) also boasts 15 bars of pressure, which I highly recommend for manual lever enthusiasts who love to experiment with their coffee, latte and speciality drinks. 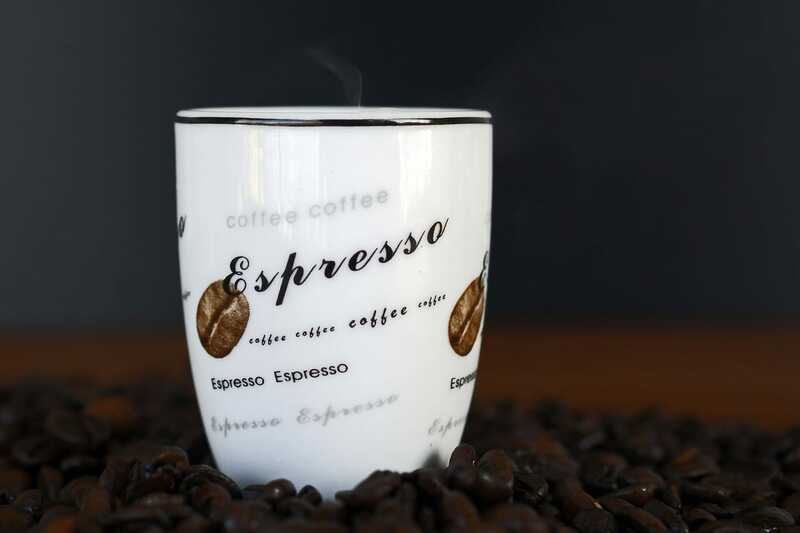 Its patented technology allows for either one or two shots of espresso per use, and you could keep your drinks hot for a long time with its vented cup warmer on top. I particularly like the EC680’s manual cappuccino system which produces froth with perfection. Environment-conscious Brits like me who want to lessen our carbon footprint will fancy the EC680 because it has an energy-saving standby mode. The curved black and stainless steel design of the De’Longhi Dedica make it look almost majestic. 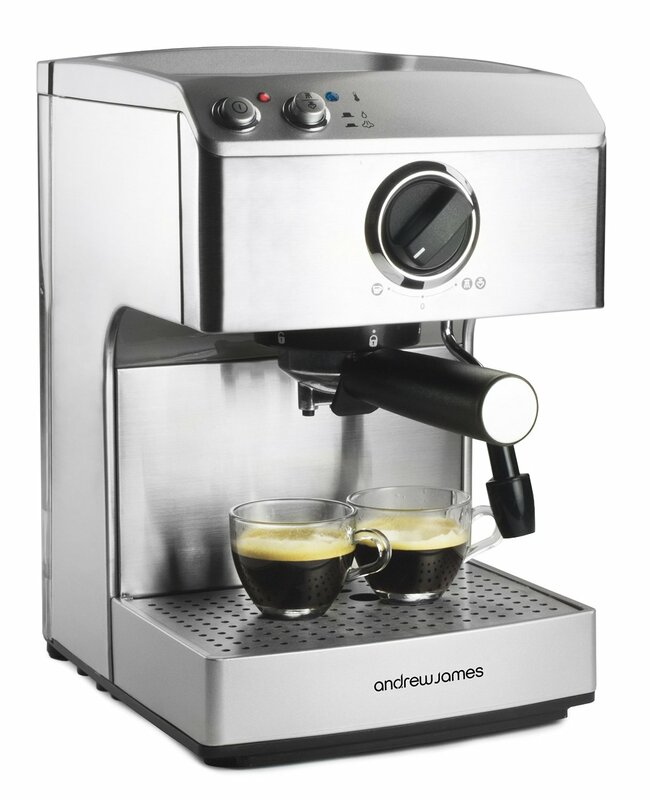 Andrew James is another stainless steel espresso machine that also has a 15 bar Italian pump and a steam wand which proves very useful in making hot chocolate, cappuccinos, and lattes. You will be impressed with Andrew James’s tactile dial and button panels which give you a lot of flexibility to make different beverages. You can also make either 1 or 2 cups of espresso at a time, and it has a cup warmer on top to keep your drinks hot. All of its detachable parts are also dishwasher safe which makes for easy cleaning. It also has a 2-year warranty. 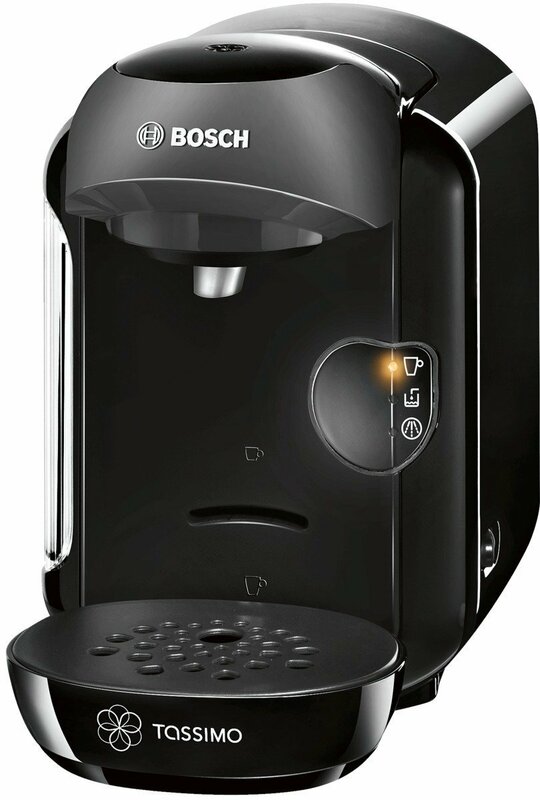 The defining feature of Bosch Tassimo Vivy Machine is its compact design. For coffee lovers like myself who can’t live without espresso on the go, this is a perfect companion. The standout feature of Bosch Tassimo Ivy is the barcode system of its T-discs. It gives precise instructions to the machine to heat water to a specific temperature and the brewing of coffee to a specific time depending on the kind of drink you decide to make. 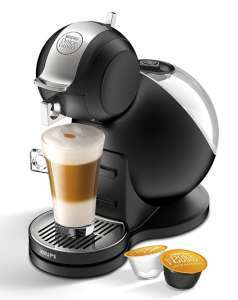 It has only one button, and it takes only a single press to make espresso or any hot beverage. It is the most hassle-free of all the automated machines currently available. If you’re an animal lover like me or one who’s into stuffed animals and plush toys, you definitely need to purchase Krups Nescafe Dolce Gusto Melody 3. The machine’s distinctive shape is the definitive crowd-pleaser among coffee lovers in the U.K.
Its large lower body is the water tank and its round head contains a chrome ring which you pull to reveal a holder where you put your pod in place. A chrome clip pierces the pod to release the ingredients of your favourite drink. The headgear’s digital bars indicate the amount of water used, and the labels Play and Select buttons are a playful homage to a CD player. Known as the all-around beverage maker, the Krups Dolce Gusto can make both hot and cold beverages, including tea. Choosing the best espresso machine depends on how much control you want to have over the brewing. For people in the fast lane, the automated machines that go with ready-made flavoured pods or discs are the better option. However, if you are the avid coffee connoisseur, the traditionally designed manual lever espresso machines give you more latitude to discover and experiment with different beverages and flavours to your heart’s content.